UIAA / Anti-Doping / Clean Climbing / What is Doping? A comprehensive guide by the UIAA Anti-Doping Commission related to the subject of doping. The List of Prohibited Substances and Methods (List), updated annually by WADA, is the International Standard defining what is prohibited in- and out-of-competition. The List also indicates whether particular substances are banned in particular sports. WHAT SHOULD ATHLETES KNOW ABOUT USING SUBSTANCES? Extreme caution is recommended regarding supplement use. It is WADA’s position that a good diet is of utmost importance to athletes. The use of dietary supplements by athletes is a concern because, in many countries, the manufacturing and labeling of products may not follow strict rules, which may lead to a supplement containing an undeclared substance that is prohibited under anti-doping regulations. A significant number of positive tests have been attributed to the misuse of supplements, and taking a poorly labeled dietary supplement is not an adequate defense in a doping hearing. Worldwide doping controls—or athlete testing—are carried out in accordance with the Code and the International Standard for Testing (IST). Athletes who compete at the international and national level may be tested anytime, anywhere. Specially trained and accredited doping control personnel carry out all tests. 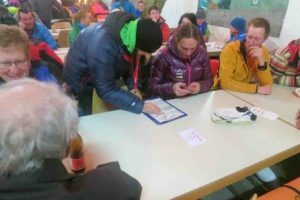 A Doping Control Officer or chaperone will notify you that you have been selected for doping control. The DCO or chaperone will inform you of your rights and responsibilities. These include the right to have a representative present throughout the process. You will be asked to sign a form confirming that you have been selected for doping control. You should report immediately to the doping control station. The DCO or chaperone may allow you to delay reporting to the station for an activity such as a news conference or to complete a training session. However, once you have been notified that you have been selected for doping control, the DCO or chaperone will accompany you until the completion of the sample collection process. You will be given a choice of individually sealed collection vessels. You may select one. You should verify that the equipment is intact and has not been tampered with. You should, at all times, maintain control of the collection vessel. During the sample provision, only you and the DCO or chaperone of the same gender are permitted in the washroom. You will be asked to wash your hands. You will then be asked to raise or lower your clothing so that the DCO or chaperone has an unobstructed view while you provide the sample. The DCO shall ensure, in your full view, that you have provided the minimum required volume: 90 mL. If at first you are unable to provide 90 mL, you will be asked to provide more until that level is met. You will be given a choice of individual sealed sample collection kits. Choose one. You should verify the equipment is intact and has not been tampered with. Open the kit. Confirm the sample code numbers on the bottles, the lids and containers all match. Now you are going to split the sample, pouring at least 30 mL into the B bottle and the remaining urine into the A bottle. You will be asked to leave a small amount in the collection vessel. The reason for this is so the DCO can measure its specific gravity. Pour the urine yourself unless you need help. In this instance, you will need to provide consent for your representative or the DCO to pour on your behalf. Next, seal both the A and B bottles. You (or your representative) and the DCO should verify that the bottles are sealed properly. The DCO is required to measure the sample‚ specific gravity. If it does not meet certain requirements, you will be asked to provide another sample. On this form, you should provide information about any medication, prescription or non-prescription or dietary supplements you have taken recently. This form is also the place to note any comments you may have regarding any part of the doping control process. You will be asked whether you consent to have your sample used anonymously for research once the analysis of doping control purposes is completed. You may say yes or no. Be absolutely certain everything is correct, including the sample code number. Make sure, too, that the laboratory copy of the form does not include any information that could identify you. You will be asked to sign the form. At the completion of collection, you will receive a copy of your doping control form. Your samples are packed for shipping by a secure process. Your samples are sent to a WADA-accredited laboratory. When processing your samples, that lab will adhere to the International Standard for Laboratories, ensuring the chain of custody is maintained. Your A sample is analyzed. Your B sample is securely stored. It may be used to confirm an Adverse Analytical Finding from the A sample. The lab will report the results of your sample analysis to the responsible Anti-Doping Organization and to WADA. Laboratories analyze samples solely by code numbers, not by athletes names. A laboratory that has analyzed an athlete, A sample reports the results simultaneously to WADA and to the particular Anti-Doping Organization. If your A sample reports a positive test in the language of the Code, an Adverse Analytical Finding, the organization responsible for results management will conduct an initial review. 1. Do you have a Therapeutic Use Exemption for the substance found in the sample? 2. Was the sample collection and analysis done according to procedures? You will be notified in writing of the results and your rights regarding the analysis your B sample. If you decide to request a B sample analysis, or if the Anti-Doping Organization requests a B sample analysis, you may attend or choose to send a representative on your behalf. In the meantime, a Provisional Suspension must be imposed when an A sample returns an Adverse Analytical Finding for a Prohibited Method or for a Prohibited Substance other than a Specified Substance. At the same time, the Code gives you important hearing rights, should you choose to exercise them, in connection with the imposition of such a suspension. These opportunities can depend on the timing of an individual case. If the B sample confirms the analysis of the A sample, the Anti-Doping Organization will proceed with the results management process, including your right to a fair hearing. If the B sample does not confirm the analysis of the A sample, no further action will be taken and, of course, any Provisional Suspension will be lifted. ADOs coordinate in-competition testing so that there is only one organization testing at an event. Unless provided otherwise in the rules of the relevant IF or event ruling body, in-competition means the period commencing 12 hours before a competition in which the athlete is scheduled to participate through the end of the competition and the sample collection process related to the competition. Criteria for the selection of athletes is pre-determined, based on the regulations of the relevant IF or event ruling body. Sample collection takes place in accordance with the IST. Athletes are notified of their selection for testing. Samples are analyzed for “in-competition substances” as outlined in the Prohibited List. For more about the UIAA and Clean Climbing please click here.